When running a business, it is easy to get caught up in the nuances of the process and ignore crucial aspects of behavior which ultimately has a trickle down effect on the entire organization. Unmotivated employees cannot deliver top notch products or services. Positivity, on the other hand, will improve efficiency and productivity, attracting more investors and customers. When running a business, it is easy to get caught up in the nuances of the process and ignore crucial aspects of behavior which ultimately has a trickle down effect on the entire organization. Attitude is contagious; the mindset of an entrepreneur affects potential clients, investors, employees, and suppliers. When negativity is entrenched in an organization, the staff will be less motivated to give it their all, inadvertently; customers and investors will pick up on this and seek out other alternatives. Moreover, unmotivated employees cannot deliver top notch products or services. Positivity, on the other hand, will improve efficiency and productivity, attracting more investors and customers. Problems are ubiquitous; they will manifest in virtually any kind of endeavor or business. What matters is having the right attitude to deal with the problem and triumph. According to experts, more than 50% of small businesses fail within the first four years. The rot usually starts at the head, as most startup founders adopt a negative mindset when challenges arise leading to fear, doubt, and uncertainty which ultimately affects the entrepreneur’s ability to execute properly, this results in a myriad of poor decisions setting up the business for failure. To succeed, an entrepreneur should exude perseverance and a positive attitude which will end up trickling down to the employees, creating a tenacious and purpose-driven organization ready to dismantle the obstacles in its way and accomplish its goals. The entrepreneur must realize that problems cannot be avoided, they can only be solved. He/she must be able to imbibe the attitude of a victor while hustling like an underdog. This positive business mindset is what will carry a company through the wave of tough times and in due course bring it to the shores of success. To accentuate this idea, here are the thoughts of some successful startup leaders with regards to how they deal with stress and maintain a positive outlook during times of uncertainty. “Over the past several years, meditation has become a common habit among top executives of many major corporations and it’s even more common if you’re in Silicon Valley. There is a reason for that. Especially in crypto market, with tremendous amount of information loading in every day, meditation is like doing a digital detox to me. I practice meditation every morning to reboot my brain. It helps me improve productivity, cognitive functioning and creative thinking, and it also lowers stress levels. It’s important to unplug yourself from negativity and complexity. Think through the worst case scenario for whatever you’re worried about. Have a plan and get psychologically comfortable with it. If you don’t do that, you’ll have fear instead of seeing it rationally. Focus on the long term. As an early stage startup you’ll have wild swings day-to-day, but if you stay focused on your longer-term goals, you won’t get too worked up about whatever just happened. Stay grounded in metrics. Usually, things are not as good as you think or as bad as you think and watching metrics or other objective indicators will help you stay grounded in that reality. This also forces prioritization and helps you ignore stuff that doesn’t matter. “It is how you handle yourself when times are tough that defines who you are as a person, and what you stand for as a company. It is not very difficult to work well together and keep spirits high when revenues keep booming and everything is going great. It is how you go through tough times that distinguishes good from great. All companies go through different business cycles, and every company faces difficulties and struggles at some point. When these difficulties become too severe, or go on for too long, some businesses collapse, others change fundamentally and lose their dynamic spirit. 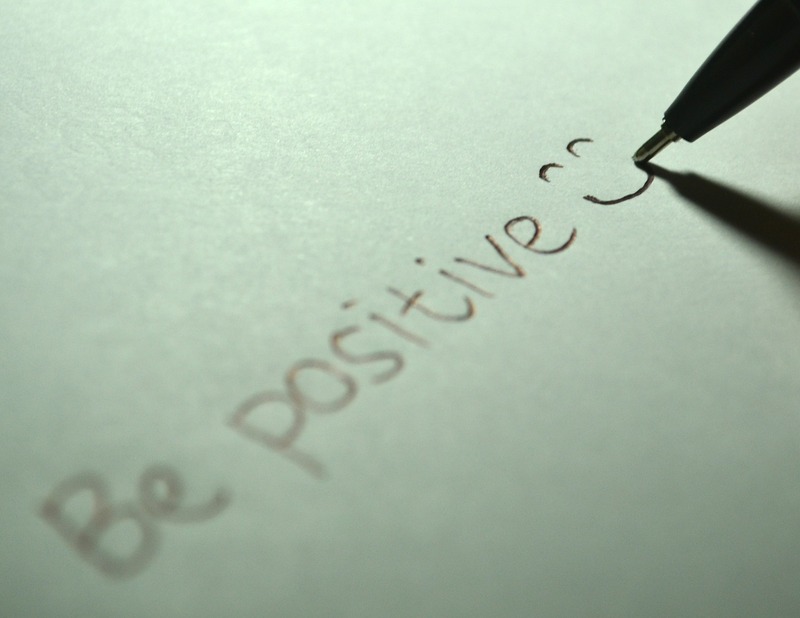 It is therefore essential for companies to stay positive, even when times are hard. With the slew of negative news around, it is easy to internalize this negativity, but this also comes with detrimental consequences. In difficult situations, entrepreneurs can choose to either stay positive and motivated while seeking out solutions or they can wallow in self-pity and complaint. A positive attitude is not only beneficial in business but also helps sharpen the mind, improve confidence and enhance one’s mental skills. However, adopting an optimistic philosophy isn’t enough for success; enterprises also need to be realistic when it comes to market conditions and the current economic climate. The best results are often obtained when the current economic climate is approached with a positive mindset.